When I was 8 or 9, we went to the movies in downtown Melbourne on Saturday afternoons. 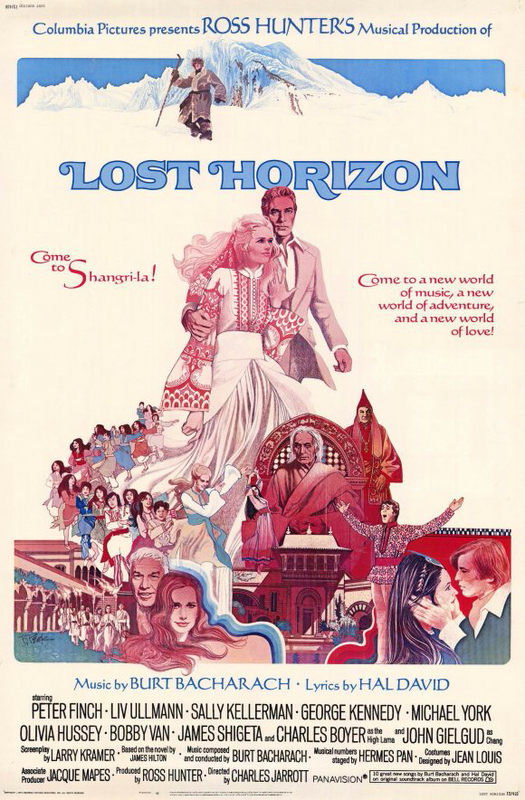 One movie that I thought was really cracker jack was Lost Horizon. Like many things, later on you wonder "What was I thinking?" But I saw it again this week and have reversed my opinion. The plot is simple: a bunch of white people flee a revolution somewhere in a DC3. They crash in the Himalayas and are rescued by some Tibetan looking people in fur coats. They are taken to a beautiful tropical garden valley, Shangra La. People wear vaguely Asian caftans. The white people sing some songs, fall in love, and get healthy. One of them is grumpy and wants to leave. I won't ruin the end for you. First, there is super cool macrame everywhere. 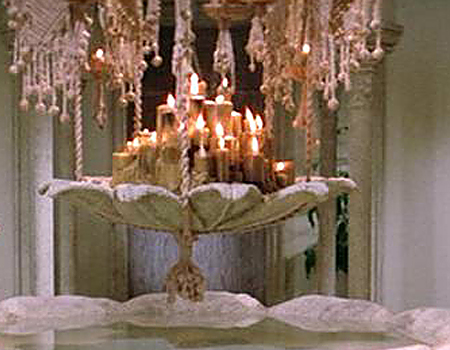 There is even a macrame wall with candles. Second, the casting, at first seems ludicrous. How about serious actors like Peter Finch,Liv Ullmann and Sally Kellerman in a musical? Let's make John Gielgud Chinese. But oddly, it works, oddly. There is something about it, years later, that makes good sense. And finally, the strangely Asian/Indian/Tibetan/Japanese/Hawaiian theme of the costumes and sets. It kept me guessing the entire movie. The music, by Burt Bacharach, is at first saccharine, but now I can't get it out of my head. It's a movie that makes you keep asking over and over, "Is this good, should it have been a musical, where is this geographically, and where can I get a macrame wall?"